Why Can’t Money Buy a Long Life? 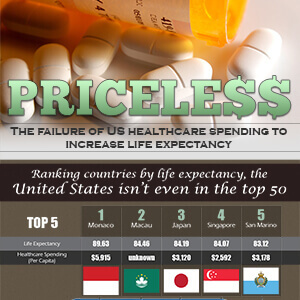 One of the few things our nation ranks first in is health care expenditure. Yet for all the money in the world it isn’t helping us live longer. And 16x what the bottom 80% spends. 79th percentile for life expectancy. 100% higher chance of diabetes. Than all of the other 17 most industrialized countries. We’re spending a lot of money, so what’s wrong? We’re missing out on the easy things. Where people can live up to a decade longer, naturally. 7th Day Adventists in Loma Linda, Calif.
gardening, walking around the house, walking while on the phone. Not marathons or working out a ton. Know why you’re waking up in the morning. Whether that’s praying, napping, reading, or happy hour. Beans are the cornerstone of many people who live past 100’s diet. Many blue zone inhabitants knock one or two back a day. Doesn’t matter which one, but attending 4 services a month is common for blue zone inhabitants. Commit to one partner, keep aging family nearby. Build a social network that builds good habits. Extending your life and enhancing quality of life isn’t always about what you can buy. It starts with habits that are sustainable and well-formed. Becker Hospital Reviews, US Hospital stay costs outpace other countries, 3-fold.